ISRAEL. YVERT 92/5 SIN TAB. SERIE COMPLETA USADA. MÚSICA. MÚSICOS EN TIEMPOS DE LA BIBLIA. SELLOS DE ISRAEL. YVERT 890/92. SERIE COMPLETA USADA. CON TAB. 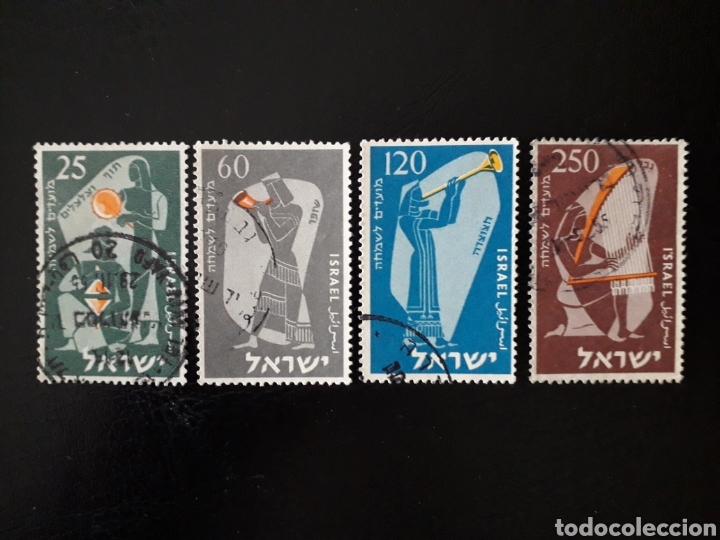 SELLOS DE ISRAEL. YVERT 714/5. SERIE COMPLETA USADA. CON TAB. ISRAEL. YVERT 92/5 SIN TAB. SERIE COMPLETA MAYORÍA USADA. MÚSICA. MÚSICOS EN TIEMPOS DE LA BIBLIA. Hora oficial TC: 00:50:52 TR: 116 ms.